Michael Nyman / Paul Chapman Miserere sdtk "The Cook The Thief His Wife & Her Lover"
Kevin Blechtom w/ Adult Rodeo Jelly Donuts 7" Kevin Blechtom being the younger sister of Adult Rodeo's Rob Erickson. Luther Wright & The Wrongs Nobody Home Rebuild the Wall Covering Pink Floyd's _ENTIRE_ album "The Wall"
Troll Texas Bossa Nova Que Son Los Trolls y En Que Nos Ayudan? w/ V/a Gather / My Children Encounter; THINK, "Once You Understand"
El Guapo My Bird Sings Super / System 3rd week in a row - gosh, it must be my new favorite song! 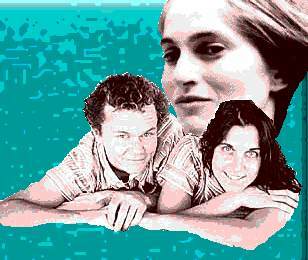 Rob Erickson, Stephanie Mankins & Lauren Newman have bolted Kramer, braved grave illness, and survived the awful directions I gave them to swing on by WFMU and give us a live set of music! And Chris Stubbs made it all sound so nice for you on the radio. 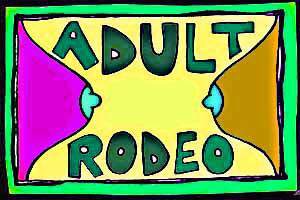 For more info on Adult Rodeo - or Stephanie's other project PMS - or Rob's goings-on with Jad Fair - or Lauren's Band Stella-Marie - go check out FSF Records website. Bogus Blimp Brothers of Space Cords. Wires.